This striking Silver Maple Leaf coin features the widely recognized maple leaf design and a "25" mark to celebrate the 25th anniversary of the series. 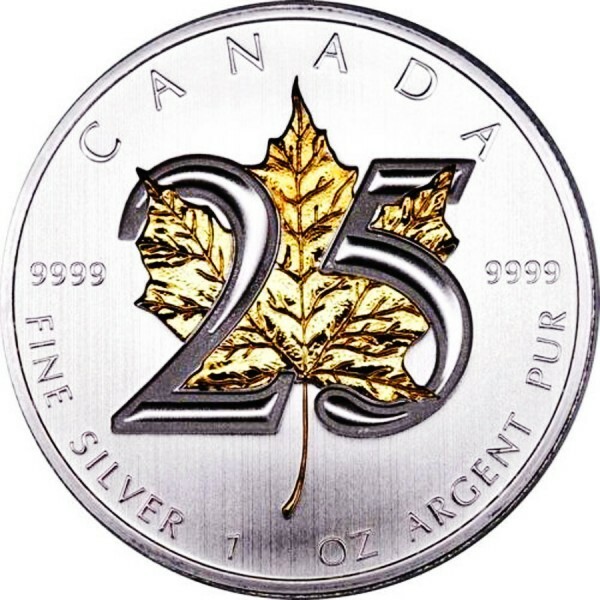 First introduced in 1988, the coin's beauty and purity made it an instant success and one of the world's most iconic Silver bullion coins. 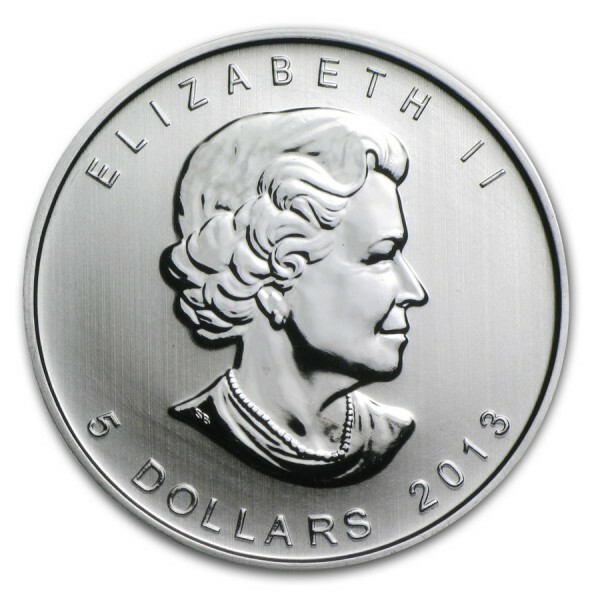 Like those previous in the series, the coin's reverse design showcases a detailed single maple leaf, closely associated with Canadian nationalism and pride, while the obverse depicts the likeness of Queen Elizabeth II, along with the year and face value. This special edition coin contains 1 oz .9999 fine Silver. Note: The gold plating of this coin was performed by an experienced third party company.